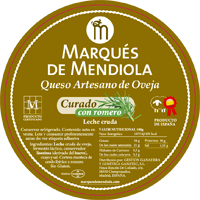 Our cheeses are distributed under the trademark MARQUES DE MENDIOLA. 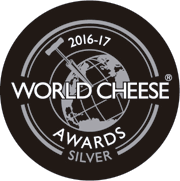 All our cheeses are made with raw milk exclusively form our farm. INGREDIENTS: Pasteurized sheep milk from our own flock of sheep, lactic culture, lysozyme, rennet and salt. DESCRIPTION: White in colour. Texture is firm, moist and elastic. Has a natural and white rind, showing small eyes sprinkling in the interior paste. 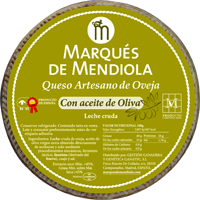 With a fresh, mild, clean and pleasant flavor typical of the fresh sheep milk . Also we prepare wedge vacuum packaging. 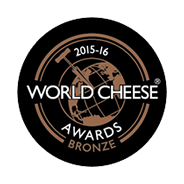 INGREDIENTS: 100% Raw sheep milk from our own flock of sheep, lactic culture, lysozyme, rennet and salt. DESCRIPTION: Ivory colour with creamy texture. The aroma is reminiscent of the sheep raw milk. In mouth the flavor is smooth and velvety. RIPENING: 2,5 to 4 months. DESCRIPTION: Ivory colour. The texture is firm and compact, with small eyes sprinkling in the interior paste. 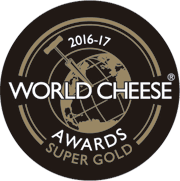 The aroma is reminiscent of the sheep raw milk, with an intensive but not strong flavor, long and persistent with a touch of acid. DESCRIPTION: Straw yellow in colour. The texture is firm and compact with small eyes sprinkling in the interior paste. Its taste is intense and elegant though somewhat stronger due to its ripening, with a rich and clean aroma. A very rounded final taste. DESCRIPTION: Ivory colour. The texture is soft and creamy. 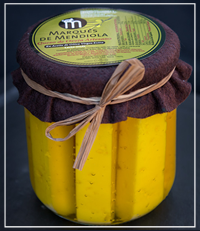 Has intense and persistent flavor, with a slightly tangy and buttery after taste due to extra virgin olive oil. INGREDIENTS: 100% Raw sheep milk from our own flock of sheep, lactic culture, lysozyme, rennet and salt. Crust of the cheese: iberian lard and rosemary. DESCRIPTION: Ivory colour. The texture is firm and compact, with small eyes sprinkling in the interior paste. The aroma is reminiscent of the sheep raw milk, wthi rosemary aftertaste. RIPENING: 5 months and aditional 2 months with rosemary. FORMAT: Cylindrical whole piece net weight 2 kg and 3 kg.